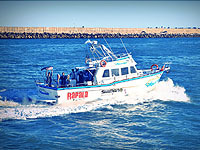 Mar del Plata boasts a wide variety of fish species and offers different settings where diverse fishing techniques can be used. Whether it is bait or fly angling, trolling or spinning, fishing lovers will have the opportunity to enjoy themselves watching an idyllic sea landscape, surrounded by mountain ranges in the middle of a magnificent city. The Argentine sea is well-known for having fish in abundance, an ideal scenario for fishermen to practice their favorite sport. All this is supported by a major infrastructure and a large number of tourist facilities, which are available to you from Buenos Aires city within 45 minutes by plane, 5 ½ hours by train or bus, 4 hours by car along a modern freeway, and also by sea. This kind of fishing is practised not long way away from the coast; the navigation is fast, depending on the places where one desire to go it will not take you over 30 minutes. "La Restinga del Faro", "El Pozo del Tío" and "Tres Cúpulas" stand out among the big quantity of fishing banks where you can fish all year long. These places are very near to the coast so they are protected from the strong winds and, as they are not too deep, the torrents are not much strong so small ships can come over. La Restinga del Faro is a special fishing bank. Without a doubt the best of all Mar del Plata’s coast. Since Mar del Plata is on Tandilia’s massif’s foothill and these foothills emerge in Punta Mogotes zone, in a prolongation of sierras at the sea. This fact produces that, at the zone, there are places where rocks are more submerged than others. Even though the place is somewhat difficult for navigation, in general you can work at the area with experienced guides' help without any type of inconvenience. The varied fishing like corvinas, whiting, sea devils, canines, gatuzos, dogfishes, congers among others stands out in summer and, when water is more transparent the most combative sorts like wing nuts, anchovies of bench takes place appear. Those who enjoy the pejerrey’s fishing will be able to practise it all year along. It is necessary to have in account that with the entrance of high-temperature waters the big shark’s fishing starts, reaching its maximum peak in the months of February and March up to the end of April. In autumn, even though corvinas go away, almost all the species mentioned before stay. Also the first escardones appear with specimens around 600 grams. This fact is favoured because in autumn the winds are not so strong, and the cold still does not punish with great hardness. The sea is almost always in good conditions, which not only permits a very good navigation but also when it is calm, the water is more clear and permits better captures of any species that we be looking for. The epoch par excellence for the pejerrey's fishing is the winter. In this moment the escardones, the panzones are already settled; at the beginning of July, one of the species that has more followers appears: the Corno o Manila’s Pejerrey. It is a pejerrey's variety that even though it hasn’t exaggerated dimensions (700 grams), it is very voracious and puts up resistance. In relation to deep-sea fishing, there is also species like elephant fish, whiting, sea devil, canine, brótola and conger, among others. In spring the varied fishing begins to increase, keeping the previous species and big whiting, corvinas, stick fish and others begin to approach. The city counts on facilities for boat owners, including ramps, dry-sail areas, car parks, trailers and clubs offering a wide range of services. You can reach the best fish stocks near the shore by going on half-day sailing excursions on board fully equipped boats run by expert guides. Summer is the ideal season to fish for sea trout, silverside, red porgy, mackerel, sea bass, southern eagle fish, narrownose smooth-hound, anchovy, and jackfish, among others. Winter, on the other hand, caters for Atlantic silverside (“escardones” and “panzones”) and, at the beginning of July, you can find Manila silverside. November and December provide for the best catches when it comes to quality and quantity. This type of fishing is carried out on board vessels which are equipped with such modern devices as echo sounders, satellite navigators and radars. Excursions take up a whole day but you end up getting the largest catch ever. Fish stocks are found in deep waters, around 20 to 60 meters down the sea. Of these, “Banco Patria” is the most outstanding one Seasonal fishing patterns do not vary much in deep-sea fishing. Sea salmon, sea bass and wreckfish species reach great sizes, and they can be caught at all times. During March, April and the beginning of May, two of the most aggressive kinds of fish arrive in the Argentine sea – the yellow tail and the Atlantic bonito. In areas less than 15 meters deep, on board small boats, it is possible to use light gear and practice bait casting, spinning or fly cast to make the most of fishing. These techniques allow for a greater sense of fish nibbling the bait and, as a consequence, a faster reaction on the part of the fisherman to catch their prey. The main reason for this are the vibrations sent from the tip of the fishing rod to the angler’s arm. The fight offered by jackfish, anchovies, bonitos and mackerel to anglers feels them with adrenalin. Spinning and trolling are suitable for catching yellow tail, bluefish and jackfish. Fishing for these species is highly enjoyable because they also offer a hard battle. For this type of boat fishing the suitable equipments are fishing poles that do not surpass the 2.20 meters, of a minimal potency of 15 pounds, it is necessary to have in account that it is necessary to work with plumb lines of 500 grams, and the size of captures are mainly very high. Rotating reel would be the ideal one, with a store capacity of at least 250 meters of 0.60 nylon. Likewise with a big frontal reel you will be able to fish without no type of inconvenience. When you make the fishing gear remember to use a mother of 0.90, with no more than two fishhooks in brazoladas of 0.70 about 70 centimetres long, in many cases it is necessary to have a steel leader, the measures of fishhooks vary depending on the specie the ship has find. Gloves (to manipulate the preys), a good knife, water equipment (many times when navigating the ship is strongly punished by waves, spreading water), a hat, solar protector and a good bag complete the ideal equipment. In most excursions the baits are included in the cost of the passage. If it were not thus, remember taking abundant quantity. When fishing is close to the coast (corvinas, whiting, dogfishes, etc.) the fresh anchovies and the magrú will give very good results, not only with capture but also as fattening to pull together bigger fishes' quantity. Otherwise, if it is deep-sea fishing, and groupers, chernias or salmons are wanted, the best bait is the squid and the magrú cut into generous portions. When you are looking for sea breams, papamosca or mackerels, the suitable bait is the squid cut into thin strips.